With the recent launch of our new catalogue, it has been very welcoming to see such positive feedback from many of our contacts – thank you! If you would like a copy or two, please contact us, we would love for you to have a read. 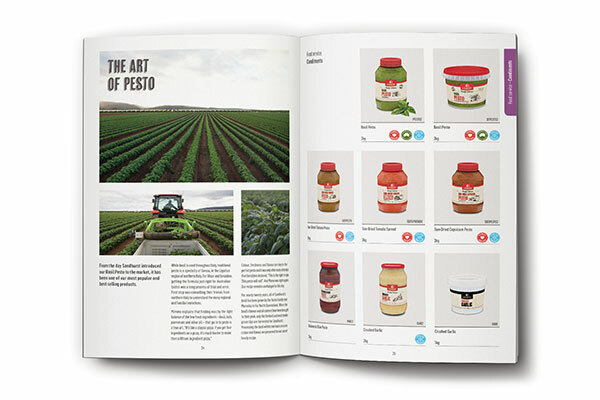 Along with showcasing our product range, the new catalogue displays our love for food, and our desire for finding the highest quality foods for the everyday table, for all families to enjoy. We also developed a short film while we were developing the catalogue. Please send us an email if you would like to view it, or take a look on our new look website! That’s right, we have also recently launched a new website with our new branding and messages. It has been a busy few months and we are looking forward to the Christmas celebrations. What’s a Barchetta and how can we use them?